It kind of stinks when album delays happen, but it is a part of the industry and is a part of the creative process some times. 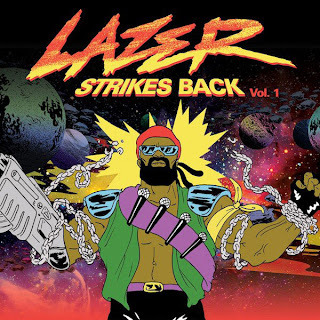 So it is not really a huge surprise that Major Lazer delayed their Free the Universe album. Yet, as a sorry to all the fans, they decided they will be releasing three volumes of free music. This is a great idea and as a fan, much appreciated. This first volume is called Lazer Strikes Back Vol. 1 and is now available to download for free below, also you can read their note about the delay. The upcoming album, “FREE THE UNIVERSE,” has been been kidnapped by General Rubbish and we all must embark on an epic journey to upset his evil plan so we can free the universe as planned with the album. In the mean time, please download LAZER STRIKES BACK Vol. 1. here: http://t.opsp.in/s08cS We will be putting out 3 volumes of music on-line until album release.